Against this background owners and other parties involved in transboundary movements of marine assets for recycling may find the following comments helpful. The Convention on the Control of Transboundary Movements of Hazardous Wastes and their Disposal made at Basel on 22 March 1989 is widely known as the “Basel Convention”. It is an international treaty between (currently) 187 states (out of 193 UN members states). Therefore most countries around the world are parties. A notable exception is the United States of America, which signed the Basel Convention in 1990 but never ratified it. The Basel Convention was introduced to regulate – and to some extent discourage – transboundary movements of hazardous wastes, by subjecting each such movement to the prior informed consent of the competent regulators in (1) the state of export of the waste, (2) the intended state of import, and (3) any transit states. Movements of hazardous waste undertaken without such consent constitute illegal traffic under the Basel Convention. The Basel Convention is an agreement between states, and so is not directly applicable to private parties. However each state party to the Basel Convention is required to implement that convention in its own legal system. In addition, while the Basel Convention sets a baseline for compliance, it does not prevent states from introducing more onerous requirements, or wider prohibitions, than those laid down in the convention.The EU, for example, has introduced additional requirements and prohibitions in respect of a number of hazardous substances. It is therefore critical in every case to consider, not so much the language of the Basel Convention itself, but the implementing legislation and any relevant legislation in each of the jurisdictions of export, transit and import. That is why we often refer to the “Basel Convention regime” (in the sense of “legislation implementing the Basel Convention in a relevant jurisdiction or jurisdictions”), rather than the Basel Convention itself. Regional conventions introduce regulatory regimes in Africa, the Medi­terranean and elsewhere. For owners of end-of-life marine assets, local due diligence is required to understand and manage the often conflicting requirements in states of export, import and transit. The Basel Convention itself does not refer specifically to ships or rigs. It refers instead to hazardous waste. Waste is defined in such a way that a ship or rig becomes “waste” from the time when its owner forms an intention to scrap/recycle it. Such intention is usually formed in advance of the owner contracting to sell the asset for recycling, and well in advance of the closing of the sale of the asset to the buyer. The Basel Convention is therefore directly relevant to the transboundary movement of rigs and ships which their owners have identified for demolition, because these rigs and ships almost always contain quantities of hazardous materials (for example, asbestos, mercury, PCBs and others). It is worth noting that the EU, under Regulation (EC) 1013/2006 (known as the “European Waste Shipment Regulation”) has introduced legislation extending Basel Convention obligations to all waste, whether or not hazardous. The European Waste Shipment Regulation is directly applicable in all EU member states and bans the export of waste from the EU for recovery to any location outside of the OECD (and bans the export of waste from the EU for disposal to any location outside of the EFTA). It has long been recognised that a ship may constitute waste within the meaning of the Basel Convention and at the same time be defined as a ship under other international rules (as was noted by the Conference of the Parties to the Basel Convention recorded at its seventh meeting in 2004 in Decision VII/26 on Environmentally sound management of ship dismantling). The same principle applies to rigs. The Basel Convention requires each state party to introduce appropriate national or domestic legislation to prevent and punish illegal traffic (and many state parties have introduced such legislation). In the EU, the European Waste Shipment Regulation requires member states to ensure that penalties are in place to punish infringements of the regulation, and that such penalties be effective, proportionate and dissuasive; in addition, Directive 2008/99/EC (known as the “Criminal Law Directive”) requires member states to criminalise breaches of the European Waste Shipment Regulation. Criminalisation extends to the producer of the waste, other undertakings involved in a shipment of waste and/or its recovery or disposal, and generally anyone inciting, aiding or abetting the commission of an offence under the regulation. Breaches of the Basel Convention regime are now prosecuted far more aggressively than they used to be, assisted in part by the publication by the Secretariat of the Basel Convention of an Instruction Manual on the Prosecution of Illegal Traffic of Hazardous Wastes or Other Wastes. On a more positive level, corporate social responsibility can make your reputation shine, and compliance with environmental laws should be a matter, not of reputation risk, but reputation opportunity! Is it not sufficient to comply with the Hong Kong Convention? The Hong Kong International Convention for the Safe and Environmentally Sound Recycling of Ships (known as the “Hong Kong Convention”) is aimed in particular at minimizing and, to the extent practicable, eliminating accidents, injuries and other adverse effects on human health and the environment caused by ship recycling. (iii) certification and reporting requirements. In addition, in the same way as the Basel Convention, the Hong Kong Convention is only an agreement between states, and so is not directly applicable to private parties, but requires implementation into the respective national or domestic laws of the state parties. (a) There is nothing to prevent individual states (or a group of states such as the EU) from implementing the standards of the Hong Kong Convention into their own national or domestic laws before the Hong Kong Convention actually comes into force. In the EU, Regulation (EU) No 1257/2013 on ship recycling (the “European Ship Recycling Regulation”) has been trying to achieve precisely that (and most of the provisions of that regulation will have come into force by 31 December 2018). (b) It is now usual for contracts between buyers and sellers of ships or rigs to require compliance with the technical standards of the Hong Kong Convention and related IMO guidelines. (2) The Hong Kong Convention does not address the issue of the transboundary movement of ships or rigs to recycling facilities and does not dispense with compliance with the Basel Convention regime. As noted above, most of the provisions of the European Ship Recycling Regulation will have come into force by 31 December 2018, and from that date, ships flying the flag of an EU Member State will (unless otherwise excluded from the scope of the regulation—as to which, see below) (1) fall outside the scope of the European Waste Shipment Regulation, and (2) only be permitted to be recycled at one of the ship recycling facilities listed in the European List of ship recycling facilities. (1) It is worth noting at the outset that “ship” is defined in the European Ship Recycling Regulation as “a vessel of any type whatsoever operating or having operated in the marine environment, and includes submersibles, floating craft, floating platforms, self-elevating platforms, Floating Storage Units (FSUs), and Floating Production Storage and Offloading Units (FPSOs), as well as a vessel stripped of equipment or being towed”. This definition seems sufficiently wide to extend to most if not all mobile offshore drilling units. (c) Ships operating throughout their life only in waters subject to the sovereignty or jurisdiction of the Member State whose flag the ship is flying. These will remain subject to the requirements of the European Waste Shipment Regulation. (3) While the European Ship Recycling Regulation seeks to exempt the vast majority of EU-flagged commercial ships from compliance with the European Waste Shipment Regulation, it provides no exemption from compliance with a range of prohibitions which are directly relevant to the export of ships or rigs for demolition and recycling, for example prohibitions regarding the export of ozone depleting substances, fluorinated greenhouse gases and mercury. To the extent that an EU-flagged ship or rig is to be exported from a non-EU jurisdiction, then the European Ship Recycling Regulation seems totally ineffective in replacing the Basel Convention regime. To the extent that an EU-flagged ship or rig is to be exported from an EU-­jurisdiction to a non-EU jurisdiction, then compliance with the European Ship Recycling Regulation will not insulate the owner from (i) the risk of prosecution for breach of any domestic laws implementing the Basel Convention in any state of transit and/or the state of import and/or (ii) the risk that take-back obligations might be imposed by the state of import. During such transition period, unless otherwise provided in the Agreement, Union law shall apply to and in the United Kingdom, with any reference to “Member States” in Union law being interpreted as including the United Kingdom. It appears therefore, subject to an agreement actually being reached on these terms, that the European Ship Recycling Regulation will continue to apply to British-flagged ships and to transboundary movements of EU-flagged ships from, to or through the United Kingdom beyond 29 March 2019 and for the remainder of the transition period in the same way as if the United Kingdom had remained an EU member state. How can Wikborg Rein help? The Basel Convention, the European Waste Shipment Regulation and the European Ship Recycling Regulation have introduced complex regimes, the full implications of which need to be considered extremely carefully. Local due diligence is required to understand and manage the often conflicting requirements in states of export, import and transit. 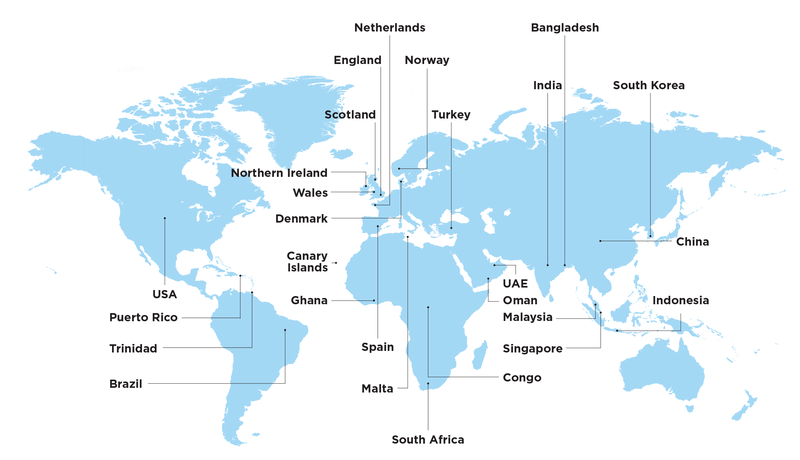 Owners and other parties involved in ship or rig recycling projects need legal advisers who are experienced with all aspects of the Basel Convention regime, the practical issues arising in connection with Basel notifications, and the idiosyncrasies of the application process in a range of jurisdictions. Assistance in connection with investigations/prosecutions of alleged breaches of waste shipment legislation.